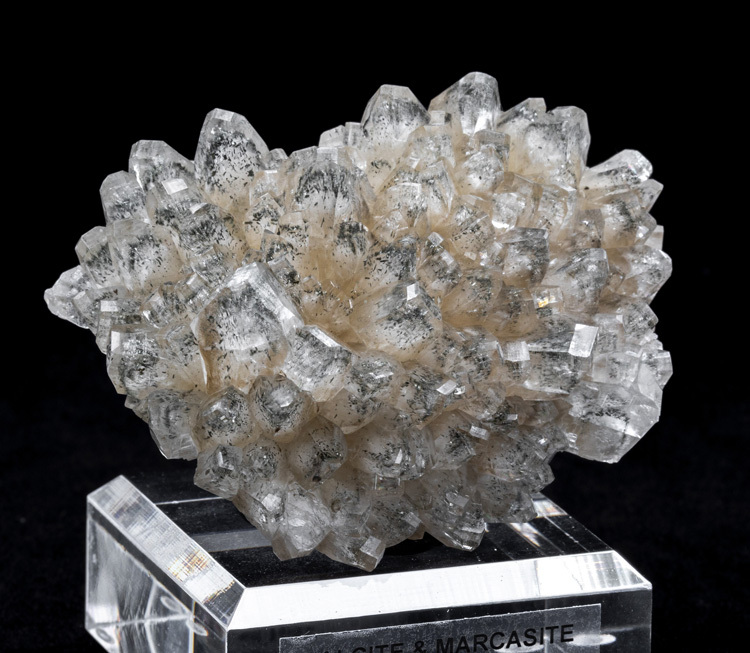 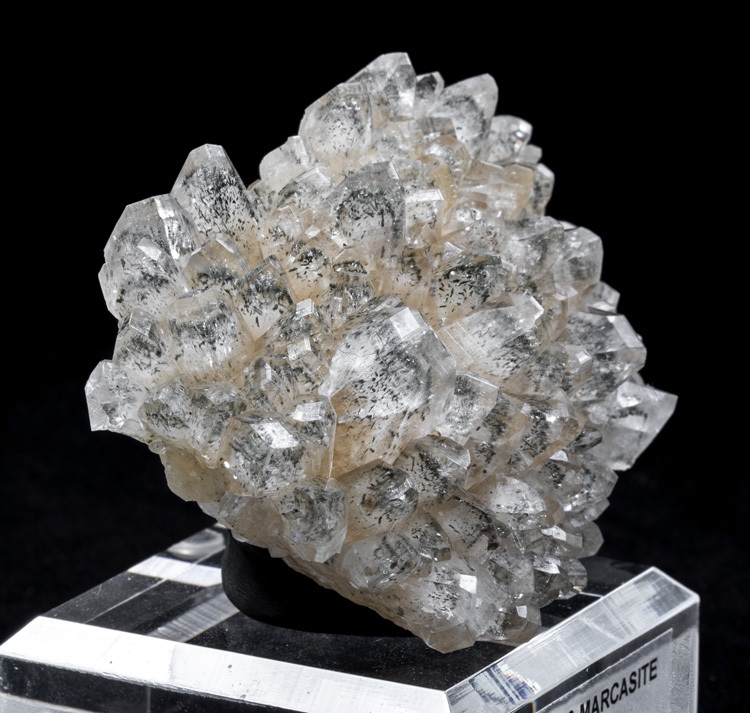 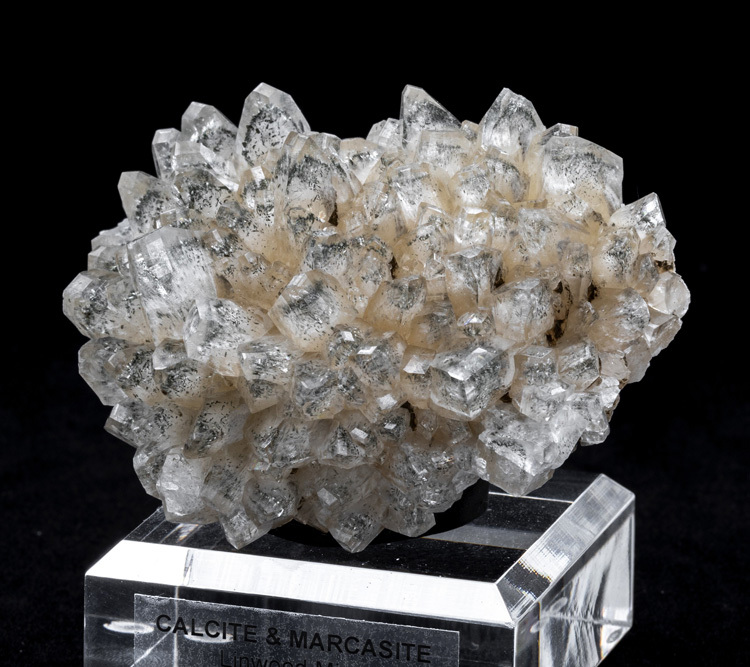 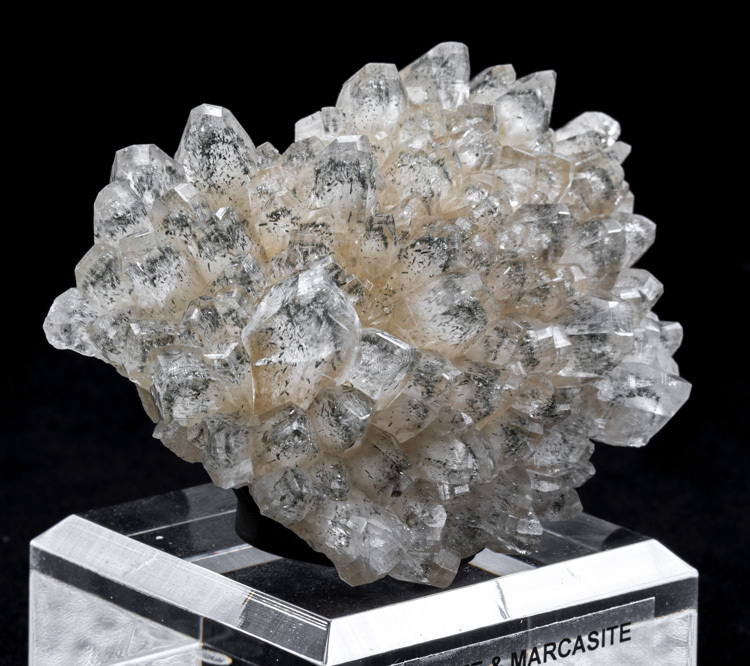 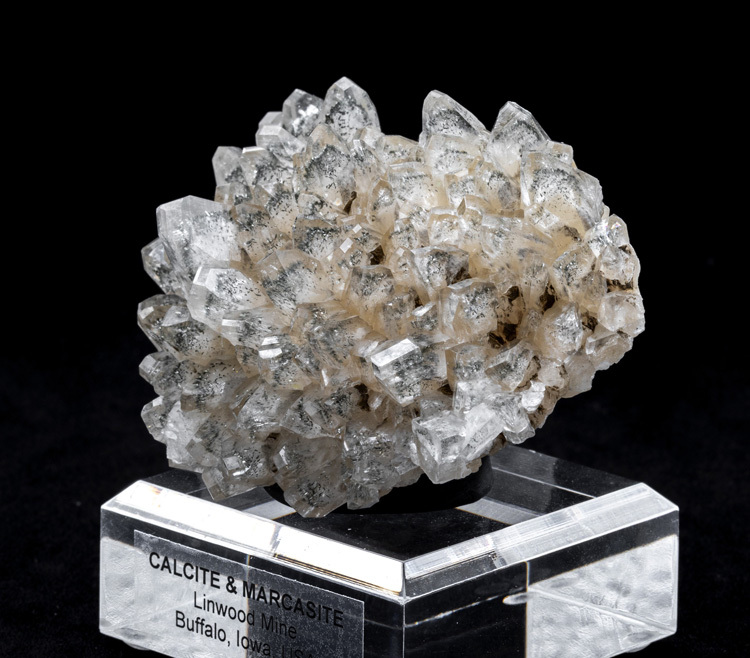 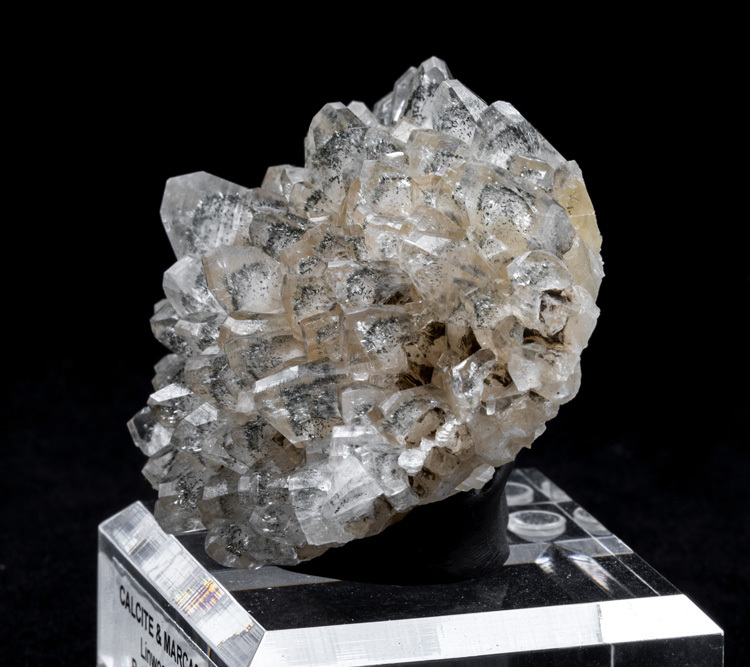 This is a very cute little calcite & marcasite specimen from the Linwood Mine. 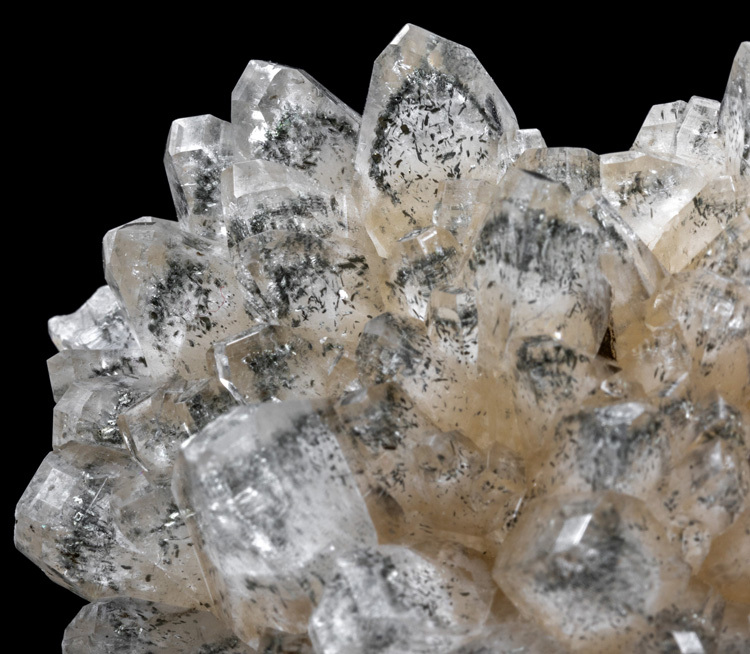 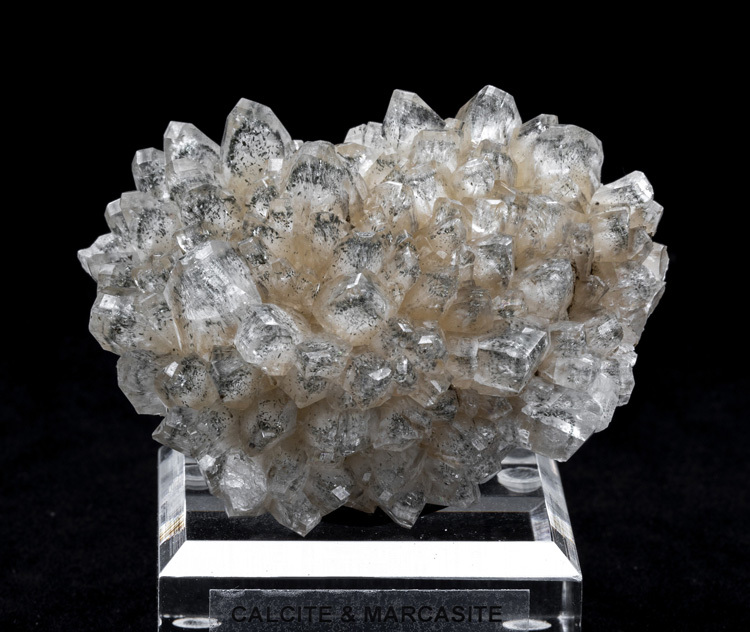 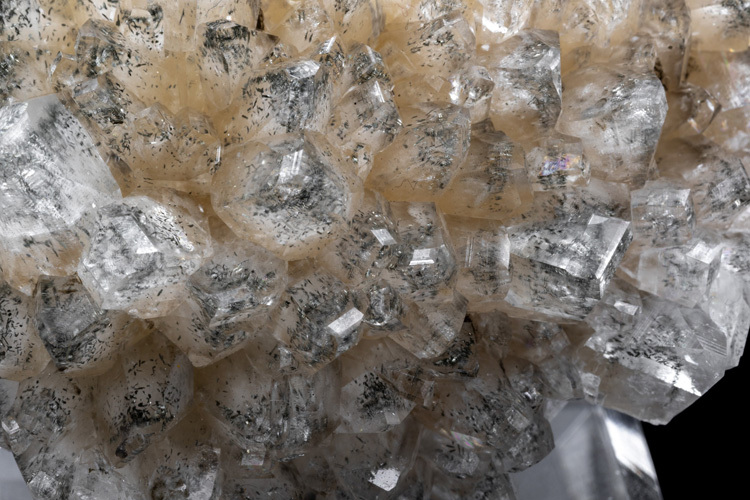 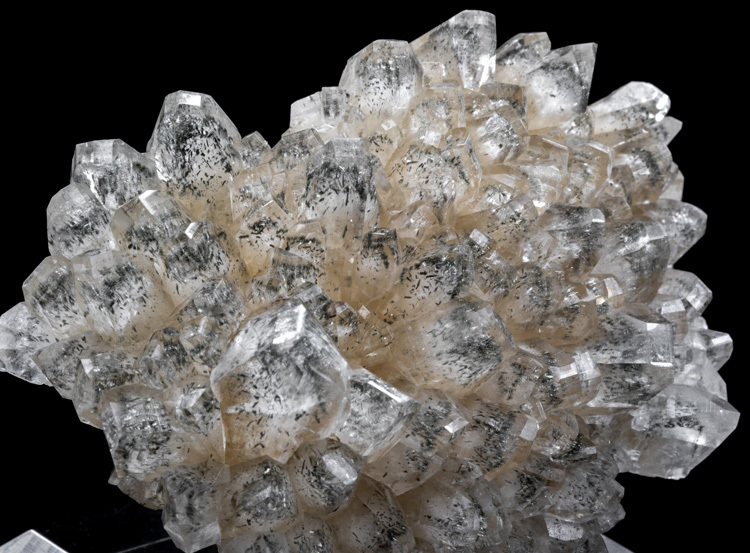 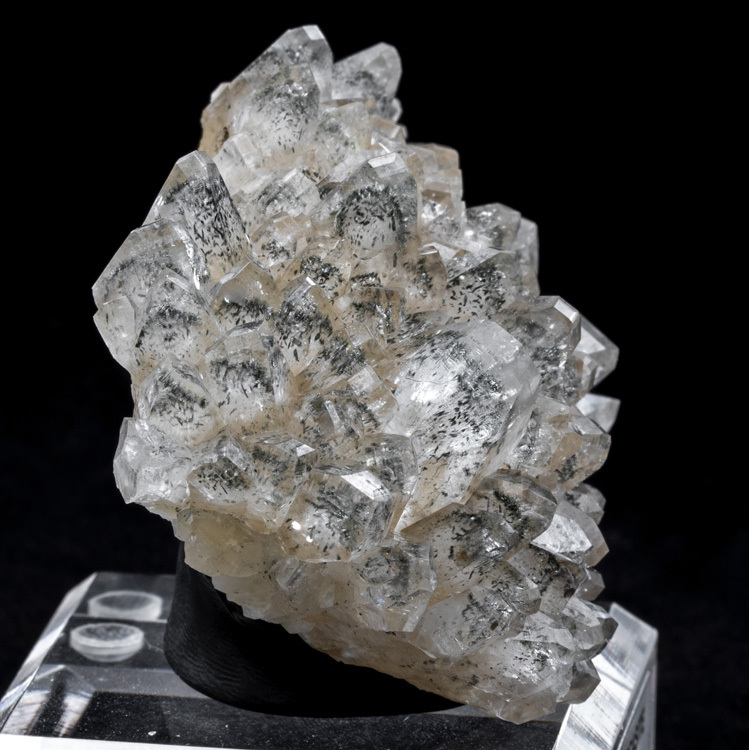 All of the calcite crystals have phantoms of sparkly, dark, marcasite inside of them, and the calcite crystals themselves are in excellent condition with no damage that we could find. 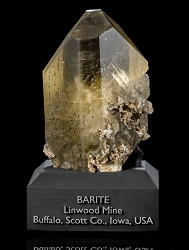 The specimen comes with a labeled acrylic display base.